Google+ is getting famous day by day. It already has 10 million users. So if you want to ameliorate your Google+ experience then read this article as we have got a list of 10 Chrome extensions that will make do the work amazingly! Does opening your browser gaian and again to see a comment or post irritates you? If so, then use Surplus as is a great extension that adds Google+ to a pop up window, so you don’t need to open the browser to see a comment or post. 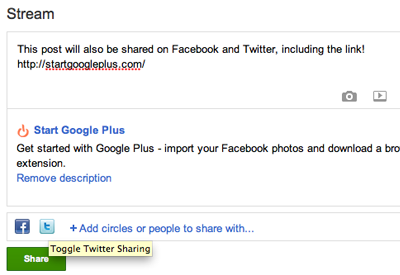 This extension lets you share your articles on Twitter and Facebook right away from Google+ post interface. It can prove to be of quite help! 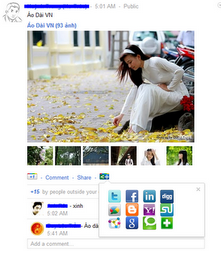 As Picasa is incorporated into Google+, it lets you share pictures from your albums. It sometimes happens that some picture is really small and you want to zoon it. This problem can be easily tackled by Photo Zoom extension as it lets you zoom pictures quickly and easily within Google+ stream. Just hover over the picture that you want to zoom and +Photo Zoom will load the zoomed version of the image. Who doesn’t like using keyboard shortcuts? They are easy, handy and quick. Well then this extension is great for any Google+ user who loves shortcuts as it gives you extra keyboard shortcuts to enhance your Google+ experience! Sometimes some posts get alot of comments, and by alot I mean ‘A lot!’. This can be quite annoying. Then this extension comes to save the day. It hides the comments and you can see them by togging them from the interface. 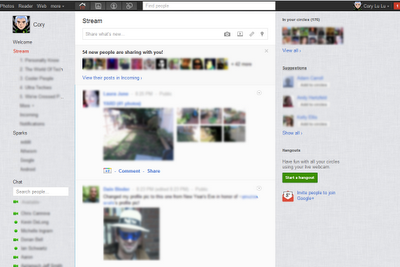 You can also check out Google + Comments extension which does the same thing. 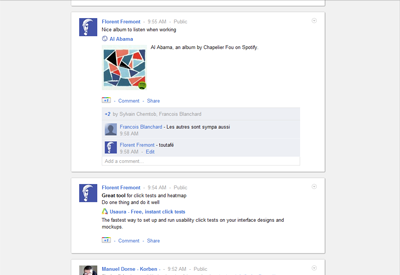 This great extension adds some useful CSS styling to Google+ interface, and groups each post into part with its comments. Sometimes we find some really interesting article on Google+ that we want to share with other social networking sites, and now this can be done by using this great extension. Do you wish that somehow you could know the number of notification on your Google+ account, without even opening it, magically? If so, then now you can by using this extension! Yes, you read that right. It lets you view the notifications on the top navigational bar and when you click on the notification button, it actually takes you to your account. Google+ Ultimate is an extension that is ported from an userstyle and it can get rid of some elements from your Google+ account when you open it on Chrome. This is one of my favourite extensions as it is incredibly useful. 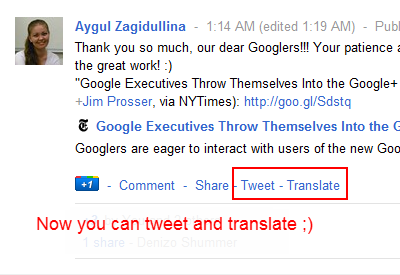 It lets you add two links to all the posts in Google+, first for tweeting the post and second for translating. Now if you see a popular update in some other language, you don’t need to worry as you can easily translate it with Google translate. You should add the Hangout Finder Extension to that list! Thanks so much! Surplus is EXACTLY what I needed. Wow!! I am happy to see so many extensions here. Thanks for sharing them with us. 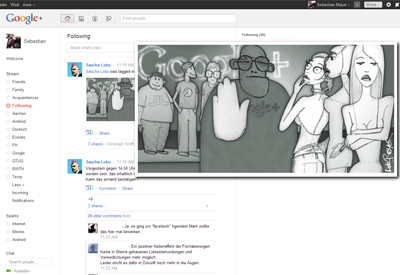 This is an extension I’m currently developing for Google+, incudes sticky header & scroll to top.